Jack and Laura Dangermond honored on Business Insider Top 100. 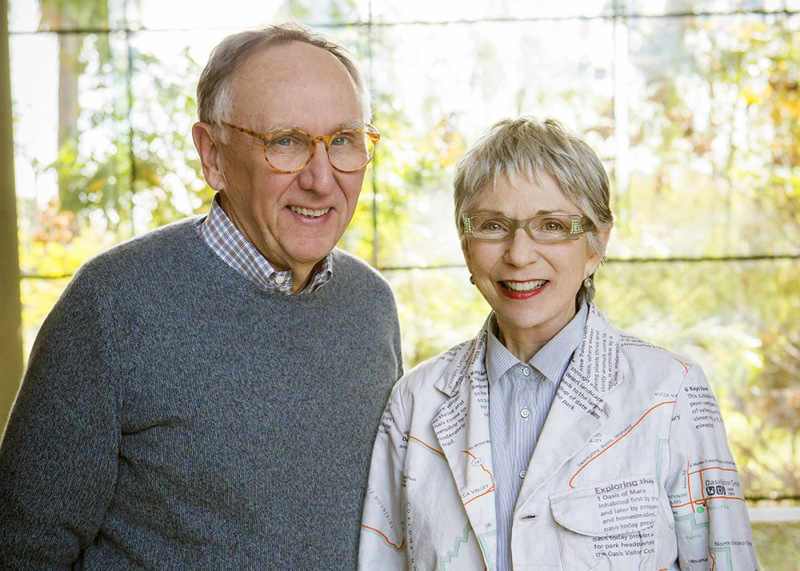 Redlands, California—In its inaugural edition of "The Business Insider 100: The Creators," Business Insider has named Esri cofounders Jack and Laura Dangermond among the top 100 business visionaries creating value for the world. They are joined on the list by leaders from established businesses such as Apple, General Motors, and Ikea, as well as upstarts like Uber and Airbnb. Esri technology uses geography and data (layered maps of accessible information) to make the world work better. Its customers use the software in tasks as urgent as evaluating damage from natural disasters and as practical as finding the best place to start a business. Today, this technology serves 350,000 organizations worldwide, including 75 percent of Fortune 500 companies and more than 7,000 colleges and universities. While Esri has enjoyed popularity among a growing number of loyal users, its mission has always been greater than mere financial gain. Since the Dangermond’s know their technology can solve a huge scope of global problems, they give it away for free to organizations like the Bill and Melinda Gates Foundation, which uses GIS technology to fight the spread of disease in Africa. Free Esri products are also used by wildlife and nature conservation organizations as well as K–12 schools seeking to improve their science, technology, engineering, and mathematics (STEM) programs. "When you have the information to understand your environment holistically, you are exponentially better equipped to make decisions," said Jack Dangermond. "And the more people who have access to that kind of understanding, the better the world can be." The Dangermond’s are active philanthropists and were awarded the Audubon Medal last year for their contributions to conservation. Through their conscientious attitude toward their company's role in the world, they continue to demonstrate that commerce can be a force for good.